This 2" x 3" floppy magnet is the perfect piece of inspiration when you're stuck writing. 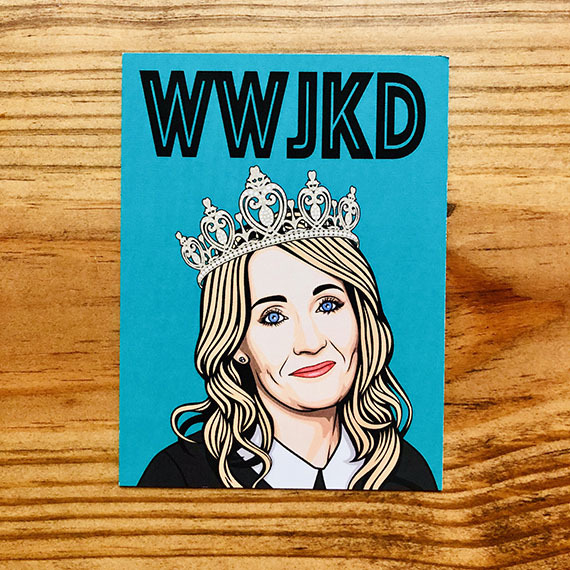 Just gaze at this lovely and ask yourself, "What would JK do?" All hail the queen!